Canada's Gahcho Kué mine, the world’s largest new diamond mine in the last 13 years, reached commercial production Thursday, its owners De Beers Canada and Mountain Province Diamonds announced. Gahcho Kué was only the sixth diamond opened in Canada in the almost 19 years the country has been producing such gems. Production ramp-up at Gahcho Kué, a joint venture between De Beers Canada (51%) and Mountain Province Diamonds (49%), began in August — a month before the mine’s official opening. Thursday’s announcement marks an important operational milestone and also comes slightly ahead of schedule, the partners said in a joint statement. "Today marks a significant landmark for De Beers in Canada as Gahcho Kué becomes an important contributor to the group's global production," De Beers Group CEO Bruce Cleaver said in the statement. 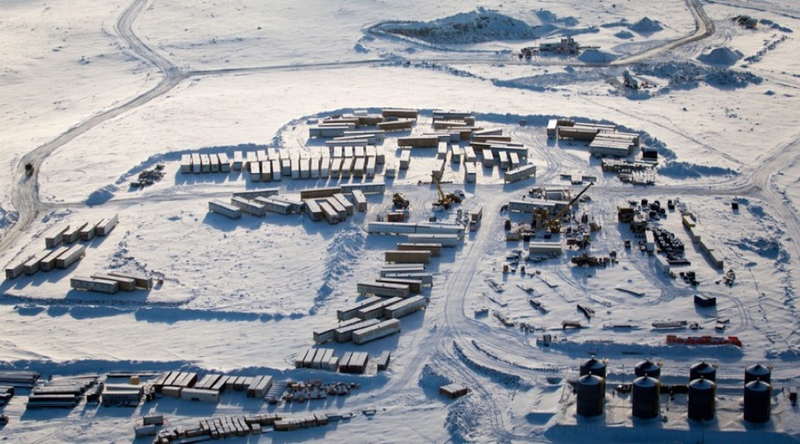 The mine "secures Canada's position as one of the world's leading diamond producers," added Patrick Evans, President and CEO of Mountain Province Diamonds. It’s estimated that Gahcho Kué will contribute $5.2 billion to the territorial economy until 2028, according to a socio-economic impact report prepared by De Beers. Another reason why the mine's opening is important for Canada’s economy is the fact that two of the country's major diamond operations — Diavik and Ekati — are approaching the end of their productive lives. Gahcho Kué, although smaller than those mines, is expected to offset the production drop-off. The mine, estimated to be one of the world’s 10 biggest diamond mines, is the sixth precious rocks operation opened in Canada in the almost 19 years the country has been producing diamonds.